Leading Manufacturer of ms vessel for chemical plants, stainless steel tank, ss vessels for chemical plants and ms tanks for chemical industries from Chennai. Our organization is specialized in the field of designing and manufacturing a quality-assured range of MS Vessel for Chemical Plants, which is made available to the clients in varied sizes and finishes. We fabricate the entire range, under the strict supervision of a proficient team of quality controllers, which helps us ensure flawlessness of our range. 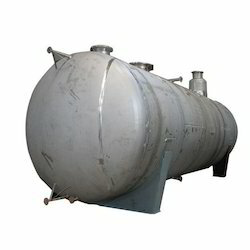 To fit the requirements of chemical industry, we are engaged in offering best grade Stainless Steel Tank. 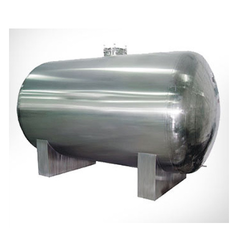 With an aim to ensure that our patrons are provided with high in class storage tanks, we manufacture these using quality-assured raw material, procured from the reliable vendors of the industry. In addition to this, we keep in mind the universally accepted quality standards while manufacturing these storage tanks. 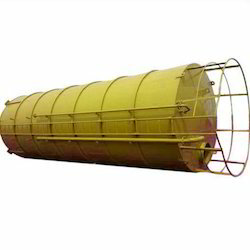 Owing to the efforts of our skilled professionals, we have been able to manufacture, export and supply the best quality SS Vessel for Chemical Plants. The offered vessel is used for storing chemicals and other fluids and is designed by our adroit professionals by making use of optimum quality raw materials. The offered SS Vessel For Chemical Industry is highly appreciated for its high strength, robust design, rust resistance and durability. Our company is one of the well known companies that offer a wide range of MS Tanks for Chemical Industries to meet the demands of our clients. The offered tanks are available in mild steel, stainless steel or any other type of nonferrous metal keeping in mind the requirements of clients. Looking for Vessel for Chemical Industries ?